White Based Posy pad trimmed with red ribbon and finished with a Red Rose Spray. The colour of the ribbon and cluster can be changed if required, please specify at the time of placing your order. 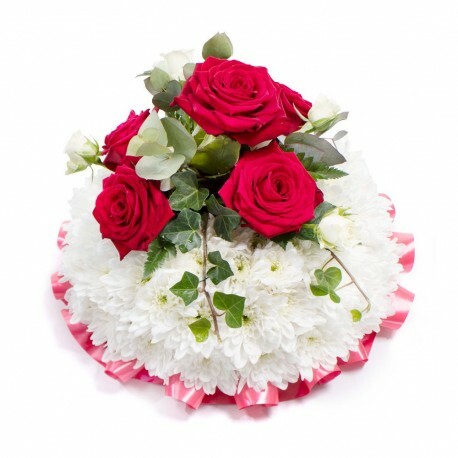 Flowerscene deliver in Aberdeen and surrounding areas. If preferred this posy pad can be collected from our shop.